Sleep is always such a hot topic in parenting circles, and finding solutions to get your child to go to sleep and stay asleep can at the very least, be very confusing. Should you let them cry it out? And if you give in to your instincts and comfort them do you create a permanent rod for your back? Maybe co-sleeping or camping-in at the cost of your own nights sleep is the answer. For some families co-sleeping works just fine, and for others, more than two in the bed means disrupted sleep and waking with one thought…I need more sleep! Why is the World So Sleep Deprived? Here’s a question worth pondering…why are we so tired? Globally, lack of sleep is a huge problem across all age spans, and with the huge volume of ‘stuff’ going into our brain daily, it’s not surprising the human species is overloaded with data and stressed. Even our babies and children are highly exposed to the constant flow of data. We feed with social media at our fingertips; we have it ‘on’ throughout the day and for many even overnight. How many times do you just ‘be’ with your child without responding to your cell phone, or other devices? Much of the processing of information requires a period of sleep…the brain needs downtime for memory processing and cell repair and fighting illness. While we sleep, our hormones are regulating…even the one that gives you a sense of fullness after a meal. Sleep is important for growth, emotional rebalance and a myriad of other things, so your body systems work efficiently. All living creatures need SLEEP! Training means the same process can be replicated time and time again, consistently…like potty training, riding a bike or simply teaching the dog to fetch a ball. Sleep ‘training’ would mean every time our intention was to fall asleep, it would happen, naturally and easily without conscious thought. Sleep ‘training methods have been around for a long time. Older parents often say they had no issues with their child sleeping. They just put them to bed, and they cried a bit and then slept. This was a very common sleep method, used over many decades, and we would assume these ‘trained’ kids would become adults that sleep every night. However, 1 in 4 adults have sleep issues…you can bet some of these were ‘sleep trained’. So what went wrong? Unfortunately any system that uses a methodology around crying is stress inducing for the child (and parent). The term ‘sleep training’ is often perpetuated at infant sleep schools, and parents are booking in to them before their baby is even born, in the hope that they will get their little one trained to sleep, as soon as possible! Babies simply become exhausted from crying and when they are not responded to, stop crying, and sleep. Thus the sleep training myth. Often the result is a ‘honeymoon’ effect and children, as they grow, develop and change, revert back to old sleep patterns…thankfully! We want our children to be gently guided into developing good sleep patterns, consistently and without stress. Children need to learn that asking for guidance is a great thing, and a life long skill. A baby crying because he cannot fall asleep is asking for attention and comfort. An over tired toddler that has pushed past her sleep window and unable to deal with her actions and reactions will resolve sleep issues so much faster when supported through their emotional crisis. In reality, your child is a growing, thinking and responsive human being. Just like you, they respond to their internal and external environments, which can influence their ability to fall asleep and stay asleep. With relaxation being the ultimate precursor to falling asleep, there are a number of other factors that are equally important in getting to this ultimate state. When helping your child develop good sleep habits, the best methods, particularly ones that consider best mental health practice, are those that are responsive and positive. Waiting for good sleep habits to occur naturally, is not necessarily the best course of action. Chronic sleep deprivation is debilitating on every level…physical, emotional and cognitive. It can destroy family relationships, and alter your child’s life journey. A simple recipe for sleep success follows a multi system approach. It adopts a gentle, supportive and responsive approach to your little one’s needs. It has to build on a relationship of trust and love, and be consistent. And like any good recipe it is replicable, under an array of circumstances and situations. It becomes a way of learning to sleep, that lasts a lifetime. 1. Routine – Is Your Routine Flexible? Not surprisingly the advice given to insomniac adults is equally true for children. Set a routine, go to sleep and wake up at the same time every day. Routine is essential for your child as it establishes comforting predictability and a sense of safety. Choose a bedtime and stick to it. Research has shown a direct link between inconsistent bedtime and serious behavioral and emotional issues. Your child’s bedtime ritual should be crafted to match their mood. A very overtired and weary child is not going to cope well with your ‘normal’ routine that may consist of dinner, play, bath, story-time, songs, cuddles and then lights out. Pushing them past their sleep ‘set point’ merely serves to activate more cortisol and adrenaline, producing a hyperactive ‘bouncing off the walls’ toddler or crying wound up baby that takes hours to settle. 2. Re-connection – show them you love them! Children need and want to be with parents. Gentle attentive parenting is about that connection and responsiveness between you and your child. It promotes bonding and provides emotional security. It acts to hard-wire your child’s brain to have the capacity to develop self control and the ability to self settle. Don’t be afraid to spend a little time re-connecting and satisfying your child’s emotional needs. Some sleep techniques advise avoiding eye-contact and close touch, but as part of your bedtime routine don’t be afraid to be fully focused on your child. Cuddle, pat, sing, hum, rock – whatever you feel helps them feel safe, secure and loved. Without achieving a state of relaxation your child can’t fall asleep. Many parents struggle with trying to calm down a crying baby or placate a toddler without ever realizing that if they can help them to relax, feel good hormones come into play and muscle tension eases. Getting the routine part consistent, but flexible to cater for over-tiredness and filling their emotional cup are essential ingredients to getting your little miss or mister toward a relaxed state of being. You can help them transition to a state of deeper relaxation with gentle song, and suitable meditative music. 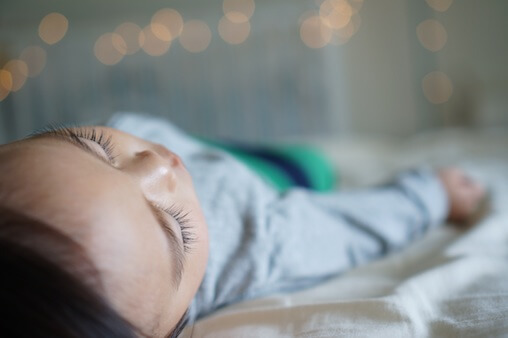 While there is a sleep training myth, there is also a powerful way to help your child learn to sleep — encourage your little one to develop great sleep patterns is a carefully selected process that supports them along a best practice, mental health journey. When the approach is positive and emotionally supported, they are nurtured into deeper sleep. Deeply relaxed restorative sleep can be a reality for the whole family, and what a difference it makes to good living! Are you in the haze of sleep deprivation? What do you fear most? Deb Herdman is a former neonatal RN, mum and entrepreneur. 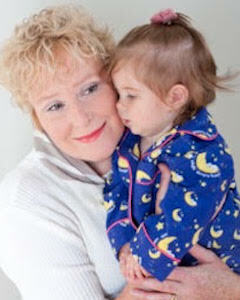 She has developed a series of products to help parents help their children sleep. These include Sleepy Head TED (a sleeping Polar Bear) and Nigh' Nigh' Sleepy Head CD. You can find Deb on Facebook, Twitter, and her own site, NighNigh.com.